Where do we get these silly ideas that we could be all things to everyone and do everything well no less? At least before PD, I had a chance of making it work -cooking, cleaning, taking care of family, home, husband and maintain a full job but now as my illness advances I find it increasingly difficult to do one of these tasks well before being completely worn out! Let’s face it being a kitchen goddess was never my forte- except for a brief moment in time after my PD struck and I was stuck at home I began experimenting with food and dishes and suddenly my family was enjoying my savory food for the first time which made me believe I could do this forever…what was I thinking? I am no Maria Croker …I discovered this recently as I have begun to have difficulty even with minor things like washing dishes. The once unused dishwasher, which was installed in my kitchen for sole purpose of increasing value of our home, should we need to sell it, has suddenly become extremely appealing. although, I completely recent the fact that I have to rely on a machine to make my dishes sparkle as I was once able to do on my own. But now even after washing dishes three times I find much to my chagrin that they are not entirely clean which only makes me want to scream. I was consoled by the fact that at least I could for my family that is until I had my nephew and mother over for the summer and they prepared such exquisite gourmet foods that after they left, my first meal of the season was met with less than a stellar review…my husband was gagging and my daughter’s only words were when is my cousin coming back? Needless to say my ‘chewy meat with peas’ is not something we will be having again! 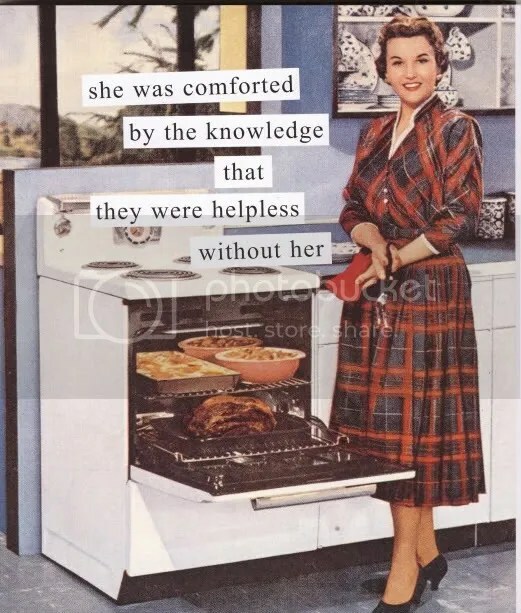 So I have decided to share my kitchen and kitchen goddess title with whom ever is willing to cook …and is not stressed by the process as much as I am. I will be happy to claim the title of Diva and cook only on special occasions when I am feeling well and I can pour all the love into the food! For I have discovered that in order to be a great chef you must have passion and love for the art of cooking otherwise the meal will simply not taste good.. But no matter who the cook in the house is, I like for my daughter’s memories to always include an image of family around the kitchen, a simmering pot on the stove and me. Kitchen goddess or not – even in the midst of PD my kitchen will always be the heart and meeting place of our home where great stories are told, food is shared, bonds are forged, laughter and dancing takes place, and lasting memories are made. The happiest moment in any woman’s life is the day she finds out she will be a mom followed by the time she actually becomes a mom by holding that precious bundle of joy that God granted us. We as women learn then what true love really means and nothing in the world can compare or come close to that feeling. Yet, despite all of its joys it is also full misgivings with all of its of ups and downs as we learn to navigate the road of motherhood. We as moms are always the first to rise and last to go to bed. There are a million things to do in the day to make sure our children are loved, happy, and safe, and well -fed. Parkinson’s and all we are our children’s moral compass. Our quiet courage as we struggle with Parkinson’s single handily while providing care and comfort to those who depend on us; this can leave any woman completely exhausted. But, imagine that despite her limited energy and strength because of her chronic illness she is still willing to give everything to her children. We give the first of our energy and devotion to them wholeheartedly which leaves us with little strength, energy or time for ourselves. Today, let’s do something nice for all PD mom’s (and all mom’s who work hard 24/7). Parkinson’s disease state depends so much on the ability to rest, recharge, re-energize, and reboot so we owe it to our mom’s, ourselves, our families, and our children to do just that on this special Mother’s day; in which we are celebrating mom’s throughout the US and in other parts of the world like Mexico. So let us give our mom’s with PD (or ourselves) a nice treat in the form of a massage. Aside from helping to ease rigidity, pain, and dystonia symptoms it helps decrease stress and improve immune system. There are many types of massage but I prefer deep tissue massage and I think it works best for patients with PD. This helps get rid of knots, pain and eliminate excess water from tissue that tends to accumulate with PD medications. A Swedish massage, is the most common type. This one accomplishes the same as the deep tissue massage without being as rough (as forceful) or as incorporate deep kneading into the tissue. You can also do an Aromatherapy Massage which incorporates scented oils to relieve stress and sooth the senses. One of the most common oils used and one of my favorites is Lavender. Besides improving stress it also helps relax people therefore allowing them to fall asleep easier. Another essential oil I like is peppermint. Peppermint helps boost energy and improve mental focus. Hot stone Massage is another form in which hot stones are placed in trigger points of body to relieve tension. I find this too painful and not beneficial to PD symptoms. Reflexology is also known as foot massage. This type of massage involves applying pressure to certain areas and points of the foot that correspond to various body organs and systems. this form of massage therapy can be very relaxing and therapeutic for those with severe foot pain or those that stand on their feet a lot. Personally, I find that a combination of these works the best for those of us who have PD. Either a Swedish or deep tissue (my favorite) with some aroma therapy along with some foot massage works the best. Every Parkinson’s diva should have one of these at least once a month to reenergize and refocus our mental energies to keep being the best mom’s we can be Parkinson’s and all!